You may have been exposed to asbestos at work or home several years ago. If you have been diagnosed with an asbestos related disease as a result of that exposure, we can help you to claim compensation. You can claim if you have been diagnosed with one of the following . . .
Our asbestos claims service works on a no-win, no-fee basis. For mesothelioma and asbestos related cancer claims you will receive 100% of any compensation awarded. Our solicitors recover their costs from the companies where the exposure to asbestos took place. We can also arrange home visits and can help you with interim govenment payments and benefit entitlements. You should make a claim for asbestos compensation within 3 years of the date of the initial diagnosis. If you are making a claim for someone who has recently passed away, the timescale is still from the date of the initial diagnosis. However, due to the serious nature of asbestos diseases, especially Mesothelioma and asbestos lung cancer, there is a certain amount of flexibility, so it will be worth contacting us even if the diagnosis was many years ago. It’s quick and easy to find out whether you can claim, simply call us on 0800 923 0046 and ask for Kathy Cooke or Warren Miller. We are available 7 days a week. Asbestos was widely used for fireproofing and insulation throughout the 20th century because it was non-flammable, virtually indestructible and low heat-conducting. It was incorporated into thousands of construction, commercial and household products, so millions of people were exposed to asbestos dust and fibres from the 1930s to the late 1970s. Most will have no ill affects or minor damage to the lungs, however there are some professions more at risk than others due to the nature of the work and the location of the workplace. These include: pipe laggers and fitters, plumbers, electricians, builders, telephone engineers, railway workers and power station workers. Some of the companies you worked for may have ceased trading. However, it is the insurers of the companies where the exposure to asbestos took place that pay asbestos compensation, and they may exist even if the companies have dissolved. If the companies folded decades ago, or you simply don't know where the exposure to asbestos took place, you can make a claim for asbestos compensation from the government. We will provide you with the options available and advise you on the best course of action. There is no limit to the number of companies you can claim against. If you were in contact with asbestos in the Armed Forces, usually the navy, you may not be able to claim compensation as the government is exempt from prosecution if the asbestos contact was before 1987. However, there are circumstances under you may still claim and you may be entitled to claim a War Pension or a make a claim under the Armed Forces Compensation Scheme. It is also possible to claim for secondary exposure. This may be from washing work clothes of a family member that were covered in asbestos dust, or living close to a factory were asbestos was used - usually Cape Asbestos, Turners Asbestos or British Uralite. We represent some of the best asbestos solicitors in the UK. 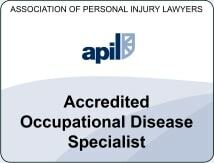 They are all Law Society and APIL registered and have recovered millions of pounds in compensation for asbestos claims. They will travel to meet you wherever you are in the UK or Europe, to discuss your entitlements and the asbestos claims process. Our Solicitors have helped thousands of clients and have brought successful claims against hundreds of companies. A few examples are listed below . 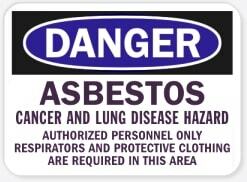 . .
We understand how devastating an asbestos related illness can be. It is our aim to minimise the distress and trauma by treating our clients with dignity, respect and compassion. We also recognise that the compensation awarded cannot possibly compensate for the pain and suffering caused by asbestosis, asbestos lung cancer or mesothelioma, but it can help to make things a little more comfortable for you and your family. It can also ease the financial burden caused by an inability to work or because of any medical costs incurred. For jargon free legal advice, please call us on FreePhone 0800 923 0046 and ask for Warren Miller or Kathy Cooke.